Yesterday, Trion Worlds teased a new game. If you go and take a look at the comments on Massively Overpowered, as well as on mmorpg.com, you’ll see a lot of negative comments for a game that’s only been teased as of right now. We don’t know anything besides some art piece that serves as a background for a homepage. Of course, these comments don’t attack the game, they attack Trion Worlds- and it makes me sad. Compare that to the positivity we saw when it was announced Trion would publish ArcheAge and you’ll see Trion has a problem on its hands there. But it’s not only Trion. Daybreak can’t get a break, as well, especially since it was announced that the dev priority is now in EQ Next and not Landmark anymore– but it’s been negative ever since they went from being SOE to being Daybreak and a few high-profile employees left- or had to leave – the company. Of course, Blizzard is making us pay subscriptions and for mounts in their cash shop while delivering content at a very slow pace and taking away flying for most people. We don’t like Perfect World because of their monetization schemes. We dislike NCSoft for closing City of Heroes and/or Tabula Rasa (this is the one i miss dearly). Carbine is quite bad for delivering a raid endgame, ArenaNet has lost goodwill, as well, maybe since the perceived lack of delivering something akin to their design manifesto, maybe for overprizing HoT or something else entirely. Bioware turns SWTOR into a single player game and uses a f2p model where they make the customers pay and Funcom overpromises and does launches bad. I think, right now, the only company who’s somewhat seen in a positive light is Square for closing and reopening Final Fantasy XIV. While i think they deserve the praise, i think we shouldn’t behave like that. I don’t really see Trion at fault here- i mean, one could say that they should have looked at how exploits, hacks and so on work in that game- but in the end, they delivered a product we were wanting very badly. I think the hacking/exploiting was the main problem in AA, this is what sucked the fun out of it for me- because i felt that crafting and so on was made worthless if someone else could just cheat his or her way out of the system, especially with housing spots. But this stuff isn’t really in Trion’s hands. As for the cash shop? I don’t know. Yes, selling Labor point potions might be a bit much, but i don’t see it as critical- first of all, the labor point system was in place since before the game went free-to-play. Personally, i like a system like that, because there’s a stop gap on what one account can do each day. It allows dirty time casuals like myself to not lose contact to others so quickly and it also makes players prioritize what they spend their LP on. You can learn and level all crafting professions in AA- labor points is used to maintain interdependancy in the game. If they didn’t have that, crafters could just craft everything by themselves instead of trading with other players. This might be what we want, but in my opinion, this takes away some of the fun that is to be found in MMORPGs. 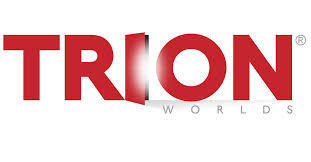 Myself, i really like Trion. I still do, even if i was quite disappointed at how ArcheAge turned out to be, as well. But if you’d take a look at their other games- you know, those they actually developed, namely Rift, Defiance and Trove, i think they are doing a decent job, especially with Rift and Trove. If you think Trion is a company desperately trying to “steal” your money, you should take a look at Trove. Regular, meaty updates that take player feedback into account and a monetization that is quite fair. I don’t begrudge anyone trying to sell me something, i simply decide whether the game is fun to play and if what is offered/the prize it’s asking is worth it to me. Massively Overpowered had this article about MMO terms that should just go away- for me, there are two terms that rub me the wrong way- first, it’s when someone calls playing an MMO “work”, as in “i worked so hard to get gear x,y and now they’re nerfing it”- you’re not working, you’re playing a game. The second one is “fans”. While it might be true in some ways, i think it creates a slightly off mindset. If you think about “fans”, the first thing that comes to mind are sport teams- for us over here it’s soccer/football, for north americans it might be american football/baseball and so on. Now, fans of teams get passionate, they do. When things aren’t looking so good for their team, they’ll look for someone to blame, will probably find someone and will want him or her gone. But these fans always want the best for their team. In the other direction, i think it makes devs feel to safe when they think about us, the players, the customers, as fans- there might be some fans to each games- i think all those who create fan sites should be considered fans- but the main body of us? We’re customers- devs/publishers will have to offer a product that’s worth its prize. I’ve stated before that in my personal opinion, MMORPGs are in a decline. It’s not the license for printing money everyone thought it to be in 2006 to 2010. MOBAs used to be it, but i guess that time’s over now, as well. Maybe survival is next (i think we’ve only seen indie survival games up until now). 2015 turned out to be a better year for MMORPGs than i thought when it began, but this is for existing MMORPGs, mostly. 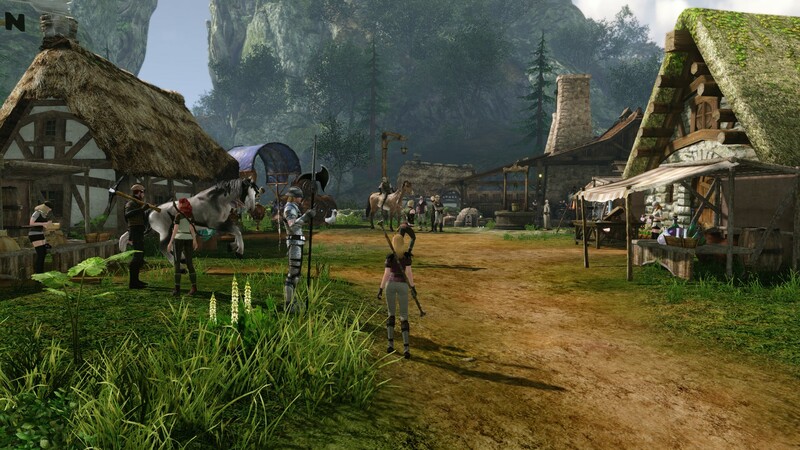 There are quite a few indie MMORPGs in development, and some of them might even be great (Repopulation and Shroud of the Avatar, looking at you here), but if we are honest about it, few of them, if any, should be considered Triple A. Those times seem to be gone. I think we should be more positive with the people/devs who provide us with games from our favourite genre. I think especially developers, so those guys actually creating these games for us, are very enthusiastic about what they’re doing- because frankly, i think there’s more money to be made elsewhere with the skillset they have. I have little doubt, as well, that people like Scott Hartsman, Joel Bylos, John Smedley and so on love what they’re doing. Maybe sometimes they’ll make tough decisions we don’t like, but they’re doing this with the best intentions for their company, even if it might seem that it isn’t in our- the customer’s – best interest. But i don’t think we can blame them for that- making games is also a business. We might not be “fans” of certain games or certain companies, but we are fans of the genre and would benefit greatly if the genre was doing fine- in quality and quantity. If all these companies we “don’t like” are gone- who will provide us with the games we love to play? So i’m looking forward to seeing what this new Trion game is, give them credit for what they’ve done with Rift and Trove, at least, and just hope it’s something ambitious- either self-developed or published- we need that. By the way, the best guesses i’ve seen so far seem to indicate it’s possible that Trion might be publishing Lost Ark in NA/EU. Edit: It looks like Devilian Online is a better guess. This is where you lost me, sadly. It’s their name on the product. They’re the ones selling it, and making money by doing so. They are ultimately responsible for what gets delivered, and if what gets delivered is ruined by cheating, that’s on them to deal with. If they just throw up their hands and say “we’re just selling it, it’s actually the developers fault!” is a good way to destroy customer goodwill. Would you trust a company that sells you something and then denies all responsibility for defects in it? No, but i believe this is just how it works- it’s XL’s game, not Trion’s. I think at one point they sent some of their devs over there to “help”, but i guess this was more about integrating payment stuff. I know the angle you’re coming from, though, and there is merit in it. I guess it is a matter of expectations towards the publisher, in this case Trion. XL is the developer, so Trion’s ability to change stuff is limited. Beyond that limit, their power is “get XL to fix stuff”, and if their contract doesn’t let them do that… well, Trion isn’t exactly a startup. They probably should have known better than to get into that kind of arrangement. Customer confidence in a company is based on past experience. If Trion is taking my money and can’t fix problems in this game, why would I believe they can do it next time? You can’t expect people to know the ins and outs of the deals between publishers and developers, especially when the only recourse I have as a customer is to take money away from Trion. There’s nothing I can do to XL directly, since it’s Trion selling the game. ArcheAge was my first exposure to Trion as a company. It’s also the first MMO that I actually enjoyed playing, but chose to leave because I morally didn’t agree with what I saw going on there. It went beyond just labor pots and labor limitations, though that was bad enough. I have a bunch of articles I wrote last year that shows how I went from an enthusiastic player to someone who saw what felt like a lot of greed shadowing behind that game. I’m glad I left when I did. It’s one of the few games I’ve ever left without any intention to return. That being said, it made me skeptical about other games they develop and champion, including Trove. I almost uninstalled Trove due to my feelings towards Arche Age (and because I really dislike that Glyph launcher). But I stuck it out and gave it a few more tries and came to appreciate and enjoy Trove. I personally feel that Trion may have made a mistake in publishing a game with time-gating mechanics and a heavy stress on the cash shop to the Western audience. I think it’s going to be tough for them to overcome the negativity spawned from their link to AA… even if game development and choices may not fully be in their hands. Even if I dislike what I saw with AA (again, I didn’t dislike the game, I disliked the motives behind it), that doesn’t mean I’m going to bash everything Trion does. But they are going to have to work extra hard to earn my trust and money after I was burned spending money in AA. I put $5 into Trove so far, to purchase the alpha pack. I haven’t spent more on it because they are going to have to work on earning good will, even if Trove doesn’t seem like a cash grab right now. I’m always going to be extra cautious of Trion in the future, unfortunately. I agree with a lot of what you are saying, I think it is unfair for the developers of Rift or Trove to be held accountable for the mistakes of whoever makes the business decisions at Trion and chose to get in bed with XL Games. Unfair, but completely normal consumer behavior and something the powers that be at Trion should have considered before publishing ArchAge. And this is where I have a big problem with free-to-play in general. It has warped our thinking as consumers about what we are “owed” and what we should pay for. What makes a game a cash grab? Where is the line drawn? We have yet to be objective about t as a community, our feelings toward a studio play too big a role. It’s shocking to me that anyone would consider Trove a cash grab when pricing is cheap and rarely necessary for enjoyment (yet I see this said now and then) when at the same time Marvel Heroes is being lauded for its generosity, yet the pricing there is horrific and damn near required for committing to the game long term. I like Marvel Heroes, I just think people overlook the overpriced cash shop because the game is so favorable right now. Once Gazillion makes a mistake? All hell will break loose. I bring up those two games because I think it shows how perception and good will play a bigger part in how we receive free to play cash shops than the actual items or prices. Trove is fair and low priced but viewed with suspicion because of AA (reading the comments at Massivey OP anyway) while Marvel Heroes is pricy with many necessary purchases, especially inventory space, and yet it is praised all day long (again, going off of blogs and Massively OP comments, an admittedly skewed population). I could go on, pay to win for example is another fluid term in which the definition changes depending on the overall community’s feelings toward a game as much as the actual, objective offerings. But I’ll conclude by saying this: free to play, even the good examples, has forever screwed up the way we value video game software and how we view the player/ developer relationship. It looks good on paper for the short term financial gains, but long term it has ruined the marketplace.